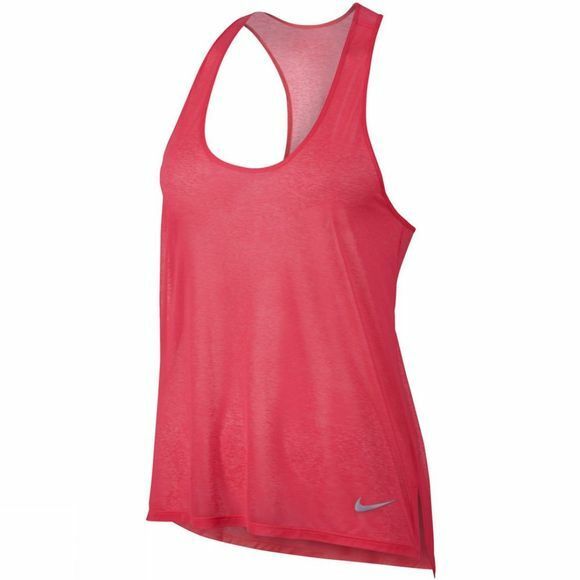 The Women's Breathe Running Tank from Nike is perfect for high-intensity workouts and runs on warm Summer's days. Soft, lightweight Nike Breathe fabric keeps you cool and dry by wicking moisture away from your skin. 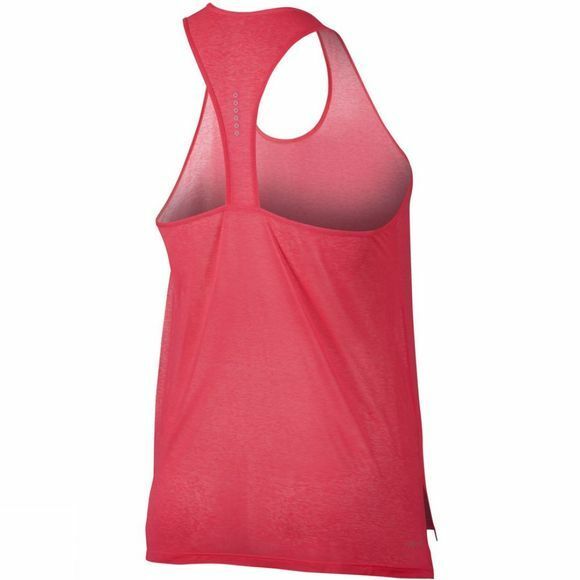 The tank has a mesh fabric construction and T-back design to increase ventilation. The scoop neck provides a non-restrictive fit and slide slits give excellent range of movement so you can concentrate on your run and not your clothing.